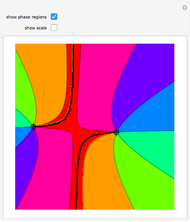 Each locator represents a root of a polynomial in the complex plane. The hue represents the phase of the values of the polynomial. 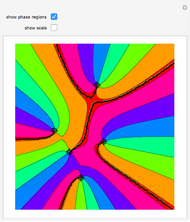 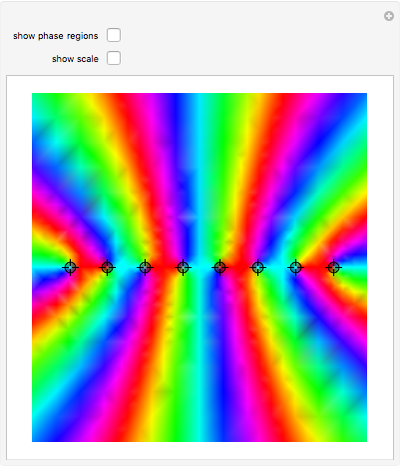 Stephen Wolfram "Phase of a Complex Polynomial"